My fondest memories of Buffalo State were the great relationships among friends and faculty I developed over the years. It actually created a fun learning experience for me. I was not involved with any on-campus organization as a student. The balance of a part-time job, intern and studying kept me very busy! Buffalo State shaped my future in several ways. During my 3rd year at Buffalo State I had the opportunity to serve as intern for the Massachusetts Avenue Project's after school program. This opportunity afforded me with Real world experience working hands on in a professional environment. This experience shaped the direction of career path of working with youth and families. Since graduating from Buffalo State, I have built a strong career track record of developing, implementing and overseeing programs that have a direct impact on youth and their ability to succeed. 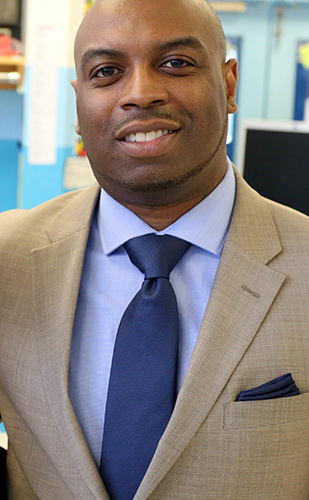 As director of program quality at Boys & Girls Clubs of Buffalo, I oversee and manage all program operations for eight facilities, over 60 staff members and 30 volunteers for the afterschool program. Also, I founded RL Experience LLC, a company that provides programs and presentations aimed at at-risk youth to deliver a positive message, encourage them to follow their dreams and to empower them to work hard to meet and exceed their goals. I’m also involved in a variety of organizations including serving as Chairman of the Board of Trustees for True Bethel Baptist Church, and am also involved in the Afterschool Network, The President’s Committee Advisory Board at Buffalo State College, Say Yes Buffalo’s Religious-Based Task Force, The Buffalo-Cheektowaga Revitalization Task Force, and many more. Lastly, I was recently honored by Business First of Buffalo as a recipient of their “40 under 40” award, and also a recipient of the 2014 Black Achievers in Industry Award. My advice to current students is to take advantage of the various opportunities that the college has to offer.